Compound Light Microscopes - Binocular. The TLI MD range are high resolution digital eyepieces, with a larger field of view than the DEM range. Native Windows USB drivers streamline installation. Simply connect them to your PC USB socket and view your microscope image on your computer. Use the included WinJoe software, or combine them with the TLI Scope software to take measurements, annotate and count. 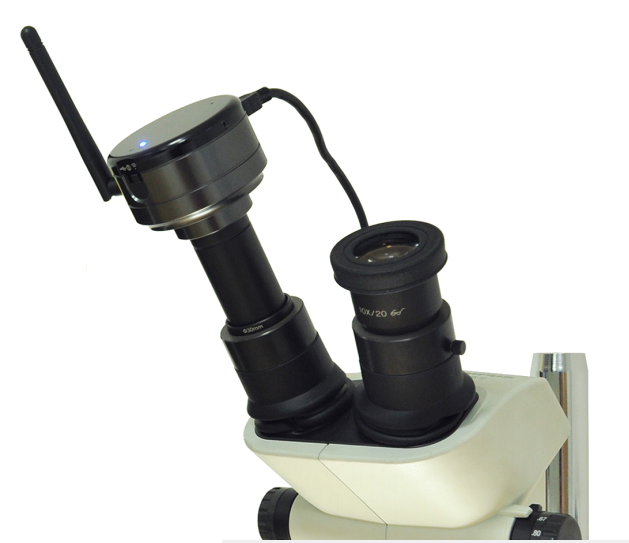 The DinoEye AM4023 is a 1.3 MP digital eypiece which can replace traditional eypieces in most biological microscopes. Suitable for eyepiece diameters of 23 mm. Works with both PC and MAC. The AM7023CT Dino-Eye (USB) is a 5 MP digital eyepiece. 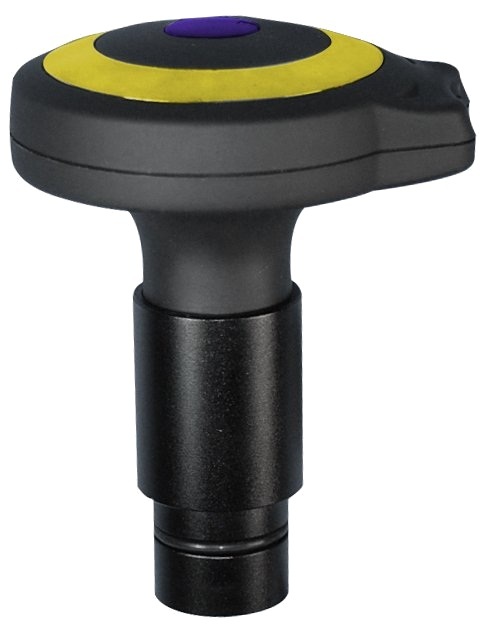 It is specifically designed for conventional microscopes or endoscopes with a C-Mount interface or C-Mount adapter. With its USB interface, you can also easily and directly record images on your computer with the included DinoCapture software for PC, or MAC. 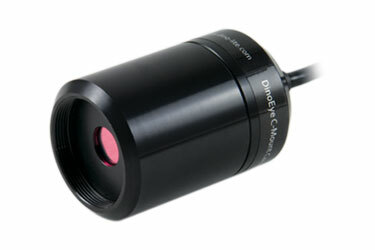 Dino-Eye Premier AM7023B digital eyepiece is a USB 2.0 powered device. Its 5 MP resolution provides large detailed images with picture sizes up to 2592x1944. The eyepiece fits traditional microscopes with 30mm diameter eyepiece slots and 30.5mm diameter eyepiece slots with its included adapters. Simply remove the optical eyepiece and insert the Dino-Eye to create digital images from your microscope. Applications include production line or laboratory inspection and documentation. 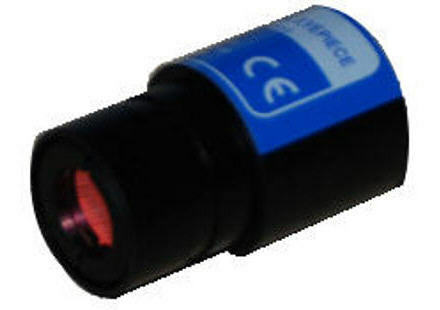 Dino-Eye Premier AM7023 digital eyepiece is a USB 2.0 powered device. Its 5 MP resolution provides large detailed images with picture sizes up to 2592x1944. 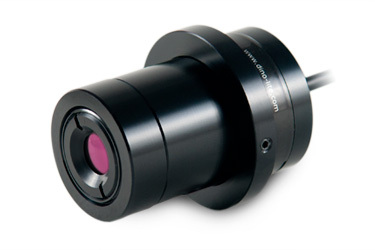 The eyepiece fits traditional microscopes with 23 mm. Simply remove the optical eyepiece and insert the Dino-Eye to create digital images from your microscope. Applications include production line or laboratory inspection and documentation. 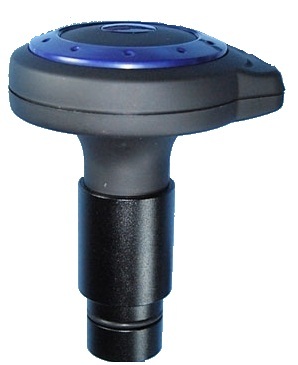 The TLI MC500W 5.0 MP is a high resolution digital eyepiece that can connect to Windows and Mac computers by USB and iPad and Android by WiFi. Connects via C-Mount microscope adapter. Ideal for use with our TLI MS6 Stereo microscope.